Looking for a USED FBB-110L? Chevalier’s FBB series sets the benchmark for rigidity, reliability and results. 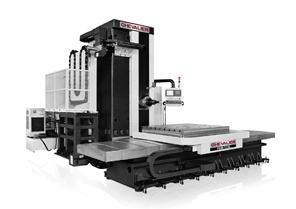 The FBB-110L series, a T-type boring mill, expertly handles heavy-duty, high-precision machining with a moving column on the Z-axis for larger machining capabilities. Looking to Purchase a New CHEVALIER FBB-110L?